Stewart reports from Day 1 of the Small Cells World Summit 2013 in London. Mobility has transformed the workplace and the working practices of millions of employees around the world. But as mobile usage increases, their experience of mobile data is often faltering. Coverage and capacity in the glass cathedrals of out-of-town estates and city-center high-rises can be patchy and inconsistent as more and more of us rely on our mobiles for email, social media and internet activity. Furthermore, many businesses are paying the additional cost of staff using their mobiles to make calls which could have been made using a desk phone, or checking their email on their Blackberries and iPhones rather than their desktop. Small cell technology can obviously address these issues. By bringing coverage and capacity into the building, they offer a better quality of experience, and by utilizing the onsite LAN for Internet access, they reduce the burden on the mobile data plan. 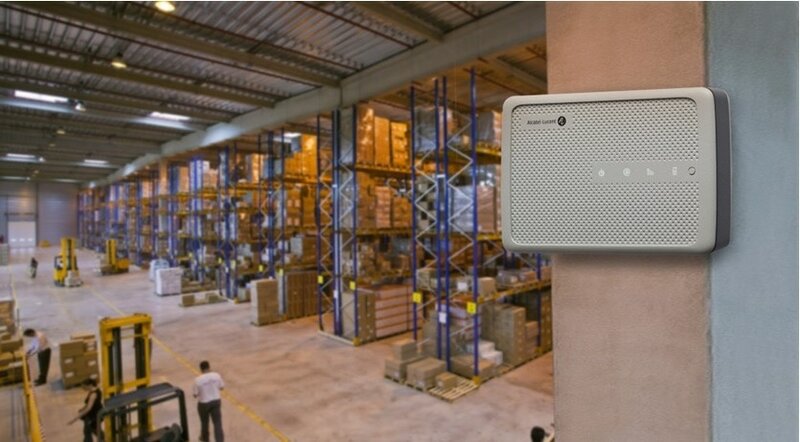 Yet business end users have not yet fully-embraced the small cells revolution. Femtocells have made a significant penetration into the residential market and now look set to transform the macro network. But enterprise-uptake of small cells has been limited to date. While there are high-capacity solutions available, such as these, they have not shipped in the same quantities as smaller 4-channel and 8-channel small cells. Why is this? You could argue that it is operators’ pricing models prohibiting uptake, or a lack of integration with existing telephony equipment, or adoption of BYOD policies, or even a reluctance on the part of enterprises to allow mobile network traffic to tunnel through their LANs. The industry is now tackling some of these issues. The Small Cell Forum announced at Small Cells World Summit that it will address the issue of “lack of services” with Release Two of small cells standards, which will be published in December 2013. According to Forum, the combination of enterprise small cells and network-based management applications will allow operators to add significant value with features like dedicated voice capacity, mobile unified communications, mobile call recording, local switching of voice traffic and context aware services, as well as the fast-developing field of network analytics. Presentations and discussion over the first two days suggest enterprise cells are a hot topic in the industry. Both Vodafone and O2 said they were targeting complex enterprise cells deployments, while Australia’s Optus said it is working with a major supermarket to bring coverage and location-based service to shoppers. (e.g. leading them around the aisles towards special offers). COLT, the WAN operator, was exploring how it could provide small cells services with mobile operator partners to its 36,000 corporate customers who are already connected to its 40,000km European fiber network. A panel session on enterprise cells discussed the challenges and opportunities. Challenges identified include avoiding interference with Wi-Fi in dense deployments, charging models and how the traffic is backhauled. On the wish-list is PBX integration, Wifi-as-a-service, power over Ethernet, localisation (so they could track employees around a building), presence and virtualization technology (like VMware) cached locally in the router. David Swift, wireless marketing manager at Alcatel-Lucent believed that the one thing above all others which would incentivize enterprises to adopt small cells would be around tariffing. Operators should consider offering flat-rated or controlled costs for those inside the enterprise zone. What has emerged during these sessions is that ‘enterprise’ is not a single market segment: operators need to be much more venue-specific in their offers and deployments. Small businesses have different requirements compared to multi-tenanted office blocks, campus headquarters, stadia and retailers. Some want coverage and capacity, others want to help with offering loyalty and promotional services to their customers. But there is a demand for it. Sodexo, for instance, issued an open appeal to the entire industry. John Bruylant, Group CTO of this vast organization with 420,000 employees, asked for a global solution that could easily plug into their client sites so that Sodexo cleaners, cooks and facilities managers could have seamless voice and data coverage even in basements and kitchens. In 2012, Alcatel-Lucent conducted an extensive worldwide survey into enterprise attitudes to small cells and their interest in various services. You can download the executive summary of the enterprise cells research here. Missing the target: have you gone overboard on customer segmentation? How relevant is the press release in the digital age? With so many journalists using social media as a source for stories, is the press release still important? Should corporate bloggers use LinkedIn Pulse? LinkedIn Pulse is a good way to extend your content’s reach, amplify your message and gain a new audience. Where do tablets go from here? With 2015 sales forecast to fall and more people than ever watching mobile video on smartphones, what’s next for the tablet? Small cells, and in particular the public access variety productised by Alcatel-Lucent as metro cells, are enjoying great growth right now.